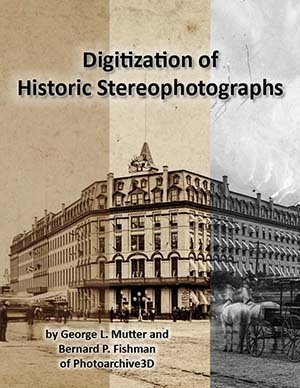 Mutter, GL and Fishman, BP: Digitization of Historic Stereophotographs. Photoarchive3D. Published online 2018. Click Image to download. Mutter GL, Fishman BP. "Kafr, Village of the Pyramid Sheikhs at Giza." AERAgram 2017: 18(2): 10-15. Mutter GL, Fishman BP. "Lost" photographs of Edward L. Wilson: The American who documented the discovery of the Royal Mummies cache. KMT A Modern Journal of Ancient Egypt 2009; 20:60-68. Mutter GL, Fishman BP. "First photos taken from the great pyramid summit." AERAgram 2013: 14(1): 16-21. Newsletter of the Association for the Study of Travel in Egypt and the Near East (ASTENE) Newsletter, 2012. Norwich Catle Museum, Norwich UK. (Images of DB320 Royal cache site in Luxor, Egypt).